Election campaigning is over, elections are over, the results are in and Donald J Trump is now the President-elect of the United States of America. The only neanderthal who hasn't noticed the very real danger of a Trump presidency, is Donald himself. Or so it would seem by his sneaking-out-to-eat-steak, refusal to live full time in the White House, his Googling 'Obamacare', his backtracking on his immigration stand, and his complete lack of self-control when it comes to criticism. 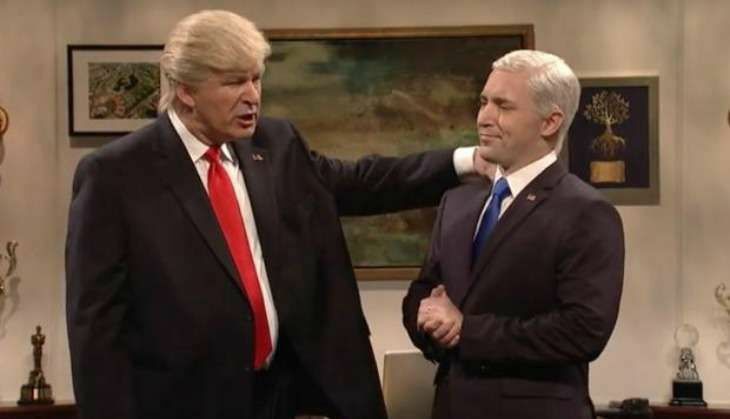 After Alec Baldwin's spectacularly spot-on imitation of him show after show, President-elect Donald Trump could no longer take the insult silently. Declaring the sketch to be completely one-sided (umm, yes. Hillary's no longer in the running, no? ), Trump went on to say that it was "biased" and not "funny at all". I'd be focused on improving our reputation abroad, including actually fighting for freedom and not just oil. Post the Twitter rant, Baldwin resumed his portrayal of the future POTUS with a point-by-point check-list of just how little Trump himself expected to win, and how little he is prepared to run a country. Baldwin addressed everything - including the appointments of Steve Bannon and Alabama senator Jeff Sessions in his prep team. "I would make appointments that encouraged people, not generate fear and doubt." Word of advice from Baldwin to Trump: "I could go on. You want more advice, call me. I'll be at SNL"
Expecting more Trump drama in 3..2..